I think it’s important for cancer patients to know that they are not alone in their battle. Visiting cancer patients to provide moral and emotional support helps a lot. Prayers have ceaseless power to heal or to help cope with the pain and slim chances. Fun runs or walk provide financial support for various expensive treatments and tests. I grew up knowing Avon as a company that sells bra. Before I learned that they also sell make up and fragrances I know they are the neighborhood supplier of quality underwear. 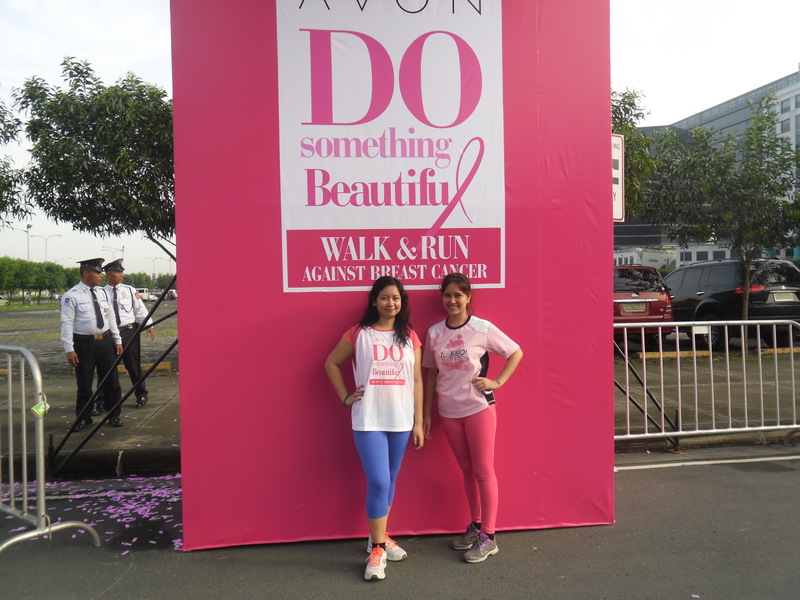 For years now, Avon Ph is raising funds for one of the deadliest and still-incurable diseases known to womankind,breast cancer. I figured out that the corporate social responsibility they decided to take cannot be more fitting. 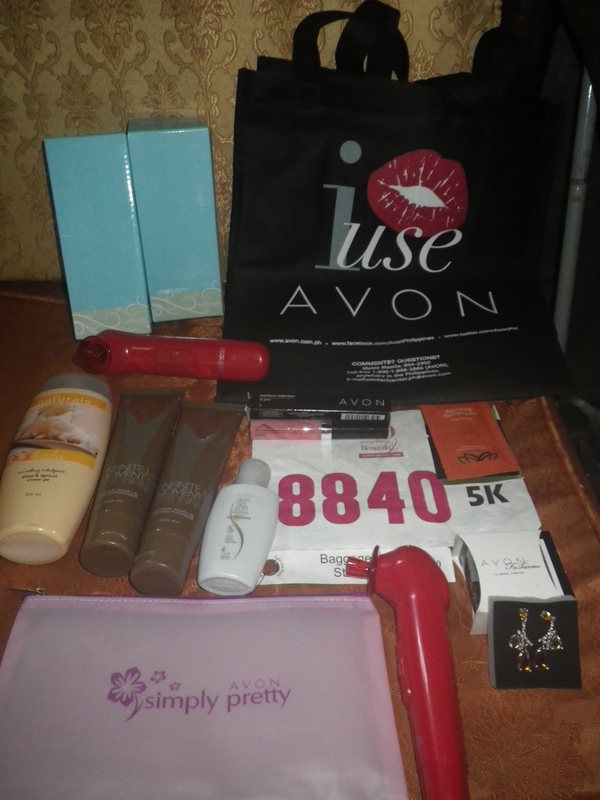 Last October 13 at the SM Mall of Asia grounds, I joined this company for women with a cause for the first time. Registration fee for the run was Php550 and Php220 for the walk. A percentage of the registration fee will be donated to purchase machines that help detect breast cancer at its early stage. Still, a larger chunk will go for the chemotherapy financial assistance of some patients. For all we know, cancer is a disease not exclusive for the rich. With regards to the treatment, we cannot say the same. This is especially true if the government and the public will not extend help. Cancer can render even the middle class bankrupt more so with our poor countrymen. Philippine General Hospital, as announced on the program after the run, offers free breast examination. Self-checking every month was also campaigned during the program as no treatment beats early detection. 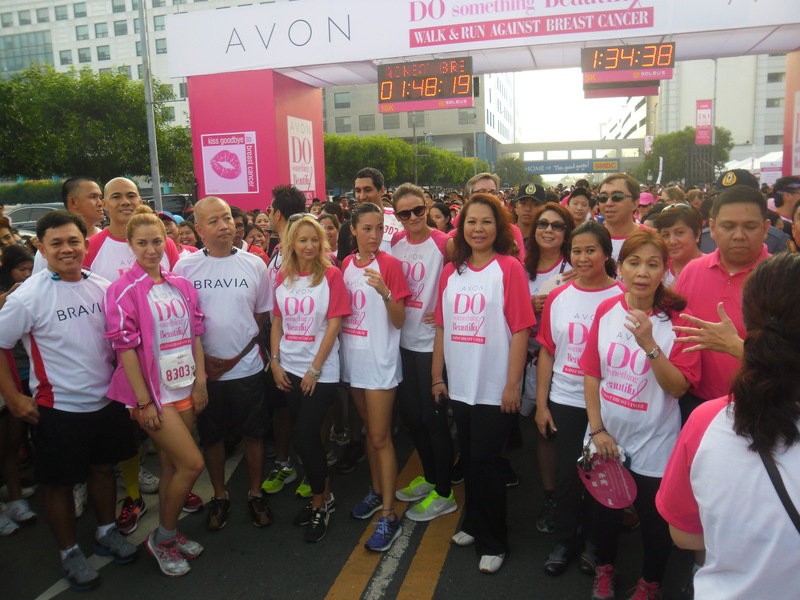 Kiss Breast Cancer Goodbye ambassadress, Solenn Heusaff, led the 5km run. She even finished second for the race. I saw more artists here compared to the One Run, One Philippines which was held a week before. My sister and I are kind of fans of Unang Hirit girls so we were both glad that they hosted the program. Lyn Ching is so thin! Dizziness took over me after I finished the 5k run at 30 minutes 59 seconds. This isn’t my official time since the RF tag at the back of my bib wasn’t used at all. I had just 5 hours of sleep. I woke up at 3AM for the 5AM run in Pasay! I know I’m not well-trained for that Sunday but I insisted anyway. Good thing the fun run is well-organized with baggage counters, drinking stations, first-aid and security booths. We took a lot of pictures of course. This is a family day and my parents also accompanied us. My sister again did not register for the run and was a little envious of me when we saw the contents of the giveaway bag. I must say that I hit two birds with one stone in that run. I was able to help and be treated to some sweet surprises in return. I don’t want to say I pity cancer patients and that I’m so glad with the realization that I’m not one of them. I wanted to take part in that small demonstration of support in their plight because it will not only help them. It will also change me and my life’s perspective. Cancer or sickness in any form is a reminder that cancer patients, strangers, my parents, my friends and I are dying every day. It is up to us to make every moment count. The cancer patients who joined the event, the survivor who led the prayer and the little boy who also prayed for healing so that boys like him “will never have to lose a mother” are all inspiring. Cancer patients are blessed. Pain has always been an opportunity for grace, I’ve been told. All of us has to carry our own cross anyway. I pray for them to be strong and to continue surviving each day. The strength of every woman and mothers can never be more highlighted on times that they are battling the disease. I honor and respect them for that.